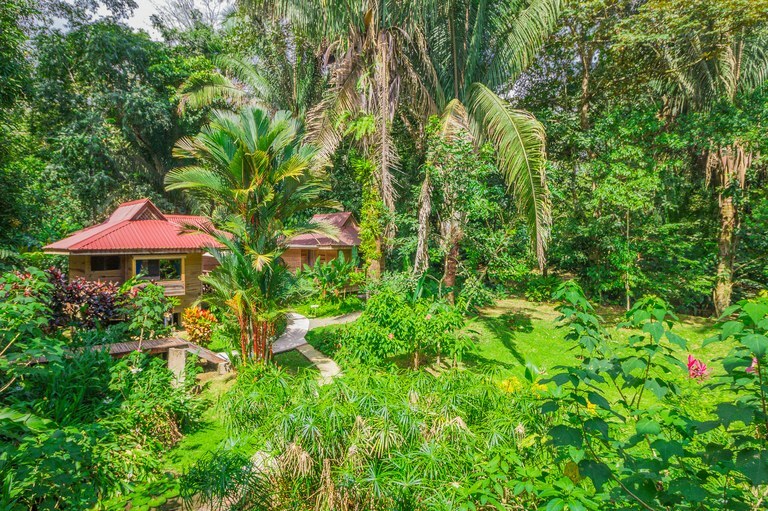 The 2.2-acre property is easily accessible from the main road, but it feels like a secluded jungle paradise! 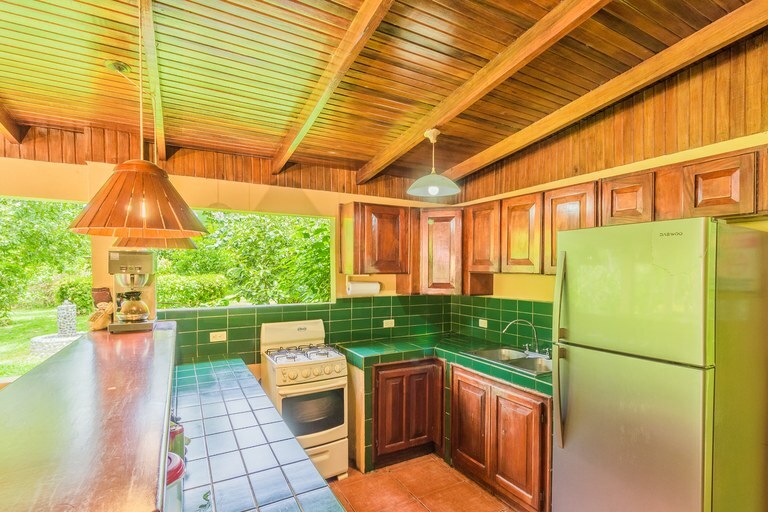 The property has four cabinas, each with a kitchen or kitchenette, dining area, patio, and private bathroom. 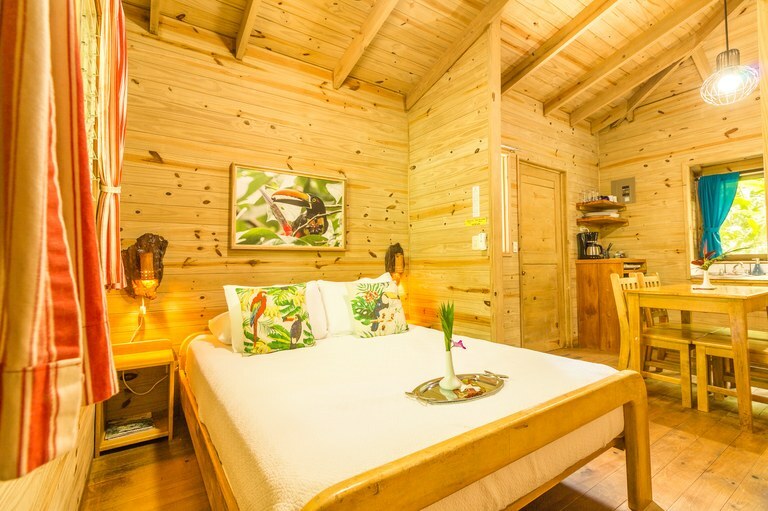 In addition, there are five rooms and six bathrooms in the main building near the pool. 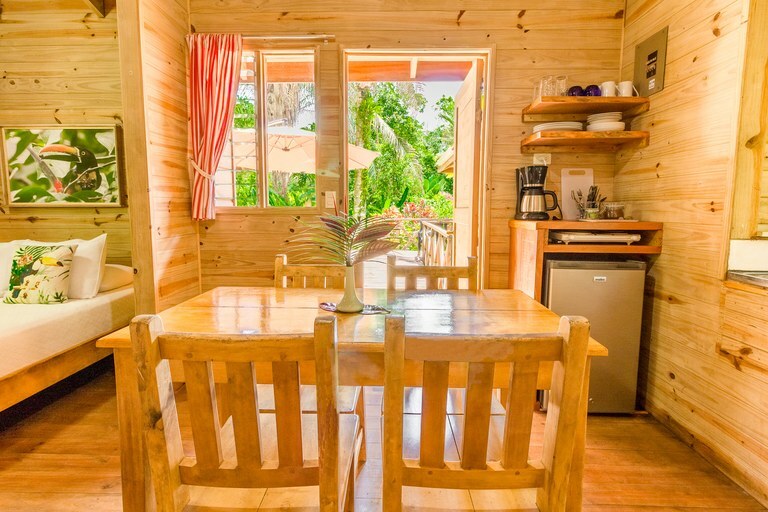 A restaurant dining room and kitchen provide everything you need for a full-service restaurant for your guests. 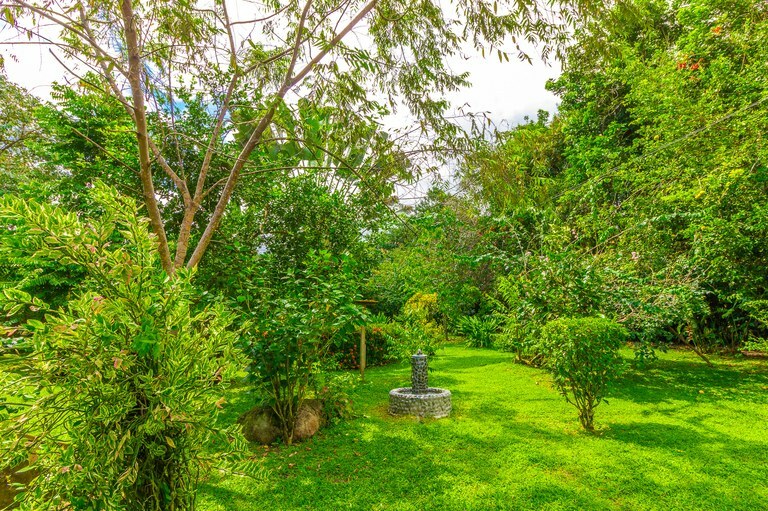 The expansive grounds provide privacy between the different areas, as well as offer ample space to build additional cabinas in the future, if desired. 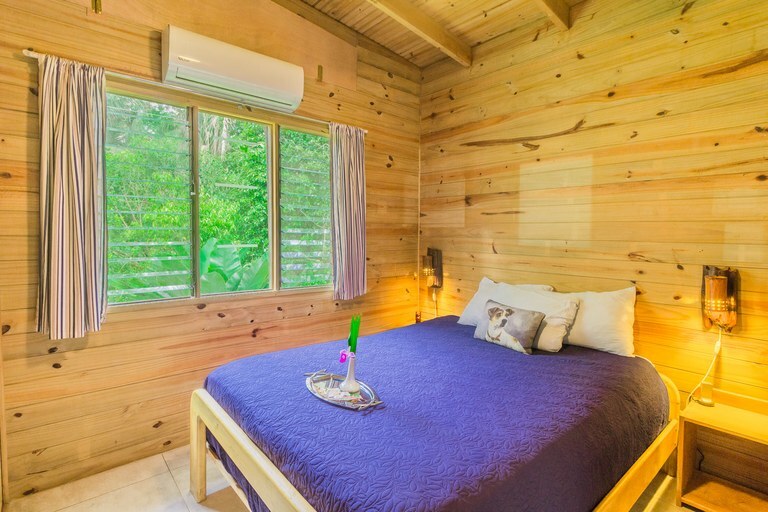 All guest sleeping rooms have new air conditioning units to keep you and your guests cool and comfortable. 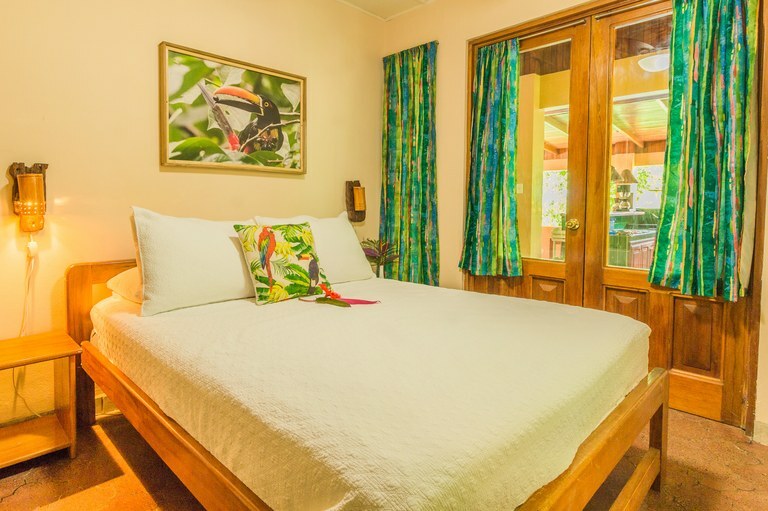 Also, all beds have been updated with premium pillow top mattresses, new pillows, and luxury towels and linens. 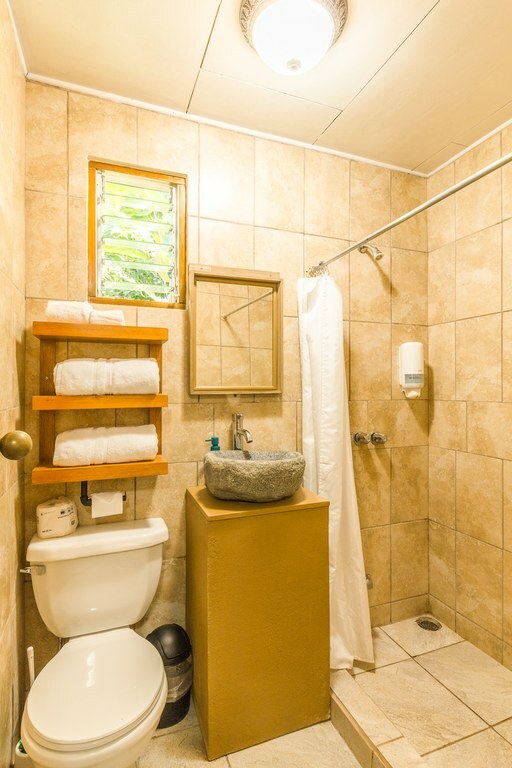 All of the bathrooms have been updated and improved throughout the property. 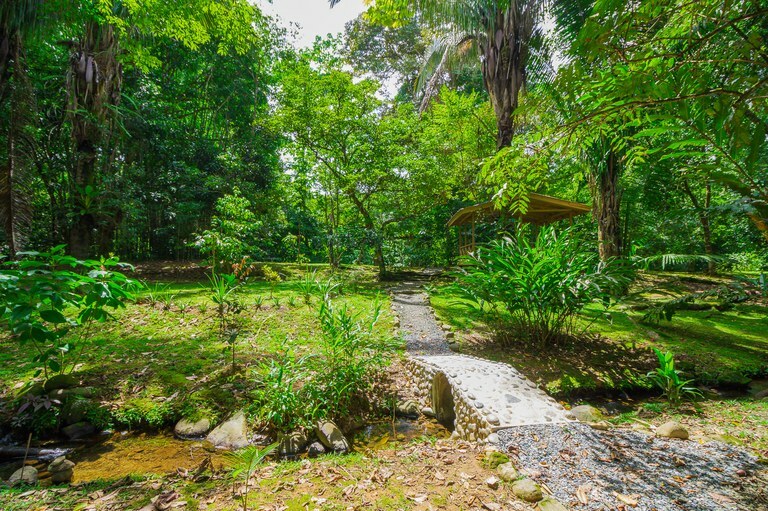 The walks and deck surfaces are new, as is the stone bridge leading out to the yoga pavilion. 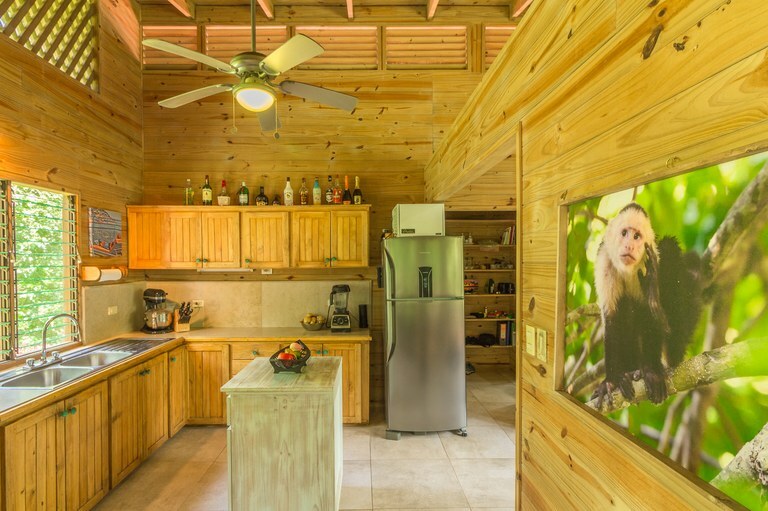 The kitchens in all four cabinas have been remodeled and feature new refrigerators. 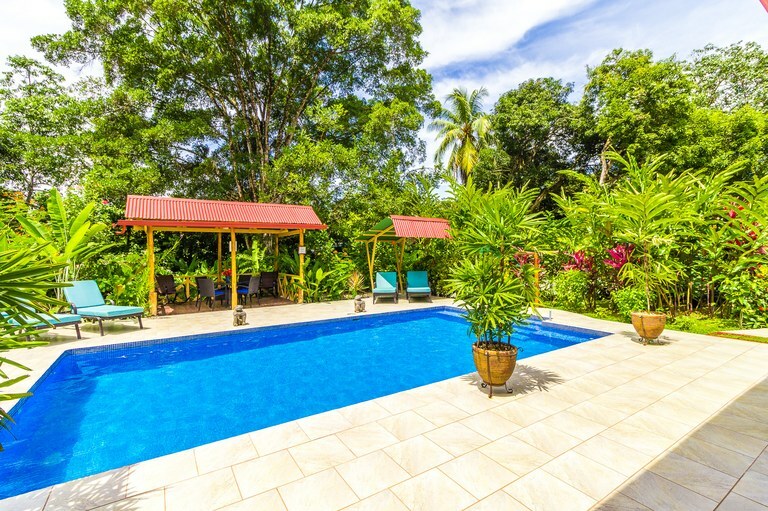 The gorgeous newly tiled pool is surrounded by lush tropical landscaping, and a lovely covered seating area invites guests to relax while enjoying a tropical drink poolside and soaking in the pura vida lifestyle! 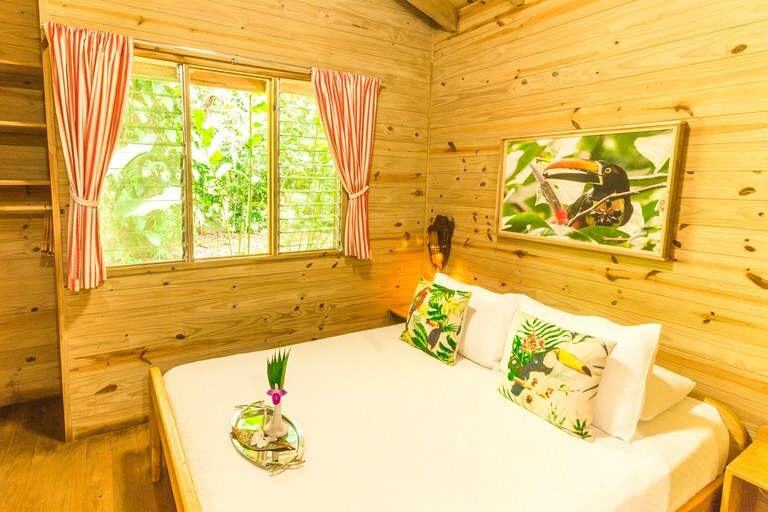 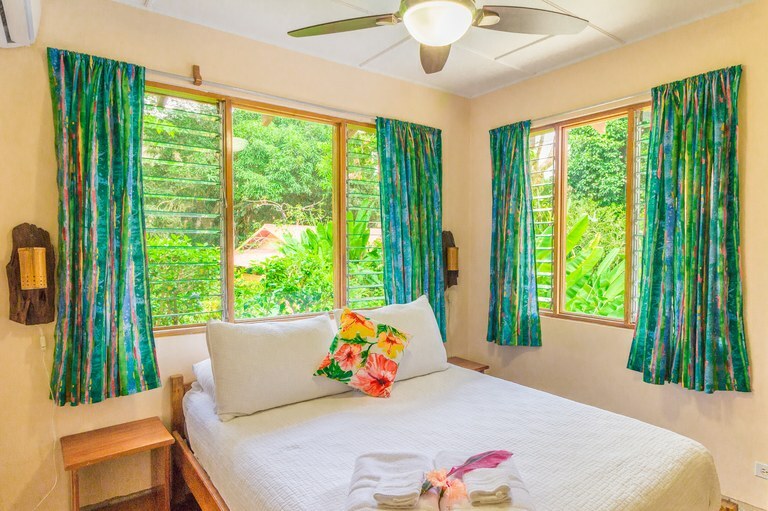 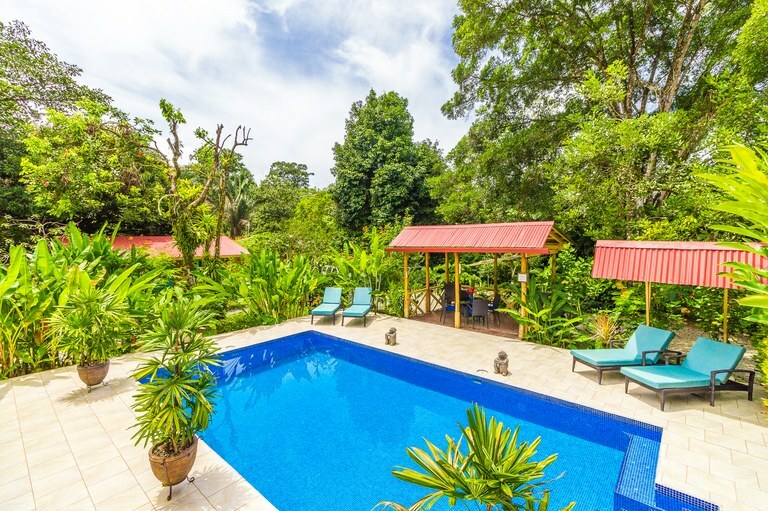 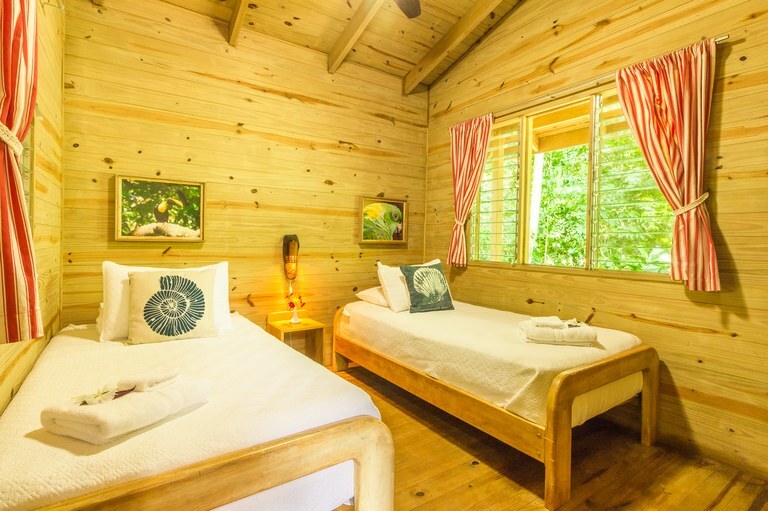 The property is beautifully landscaped throughout with palm trees, tropical flowers, fruit trees, orchids, and all the beauty the jungle has to offer! 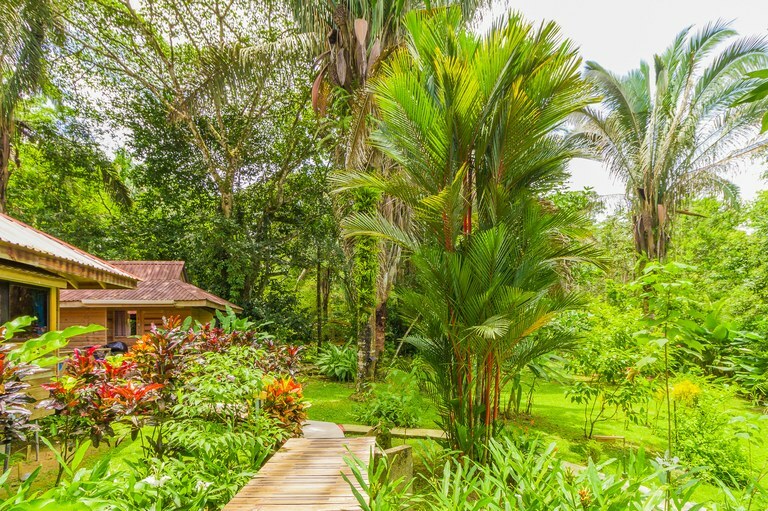 The current owners have added over 250 new plants and trees throughout the property in the last year - selected for beauty and their ability to attract butterflies and birds. 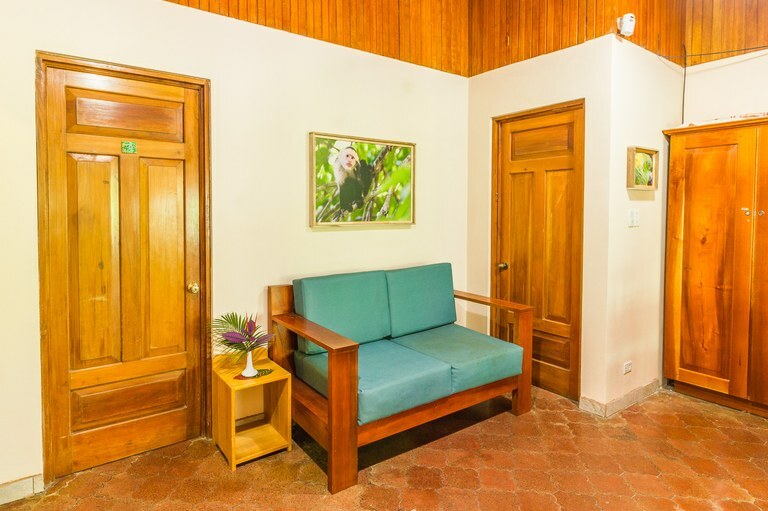 Guests can wander the property on lighted pathways, cross quaint walk bridges over small wandering streams, and discover secluded seating areas where they can sit and enjoy the beauty of the nature that surrounds them. 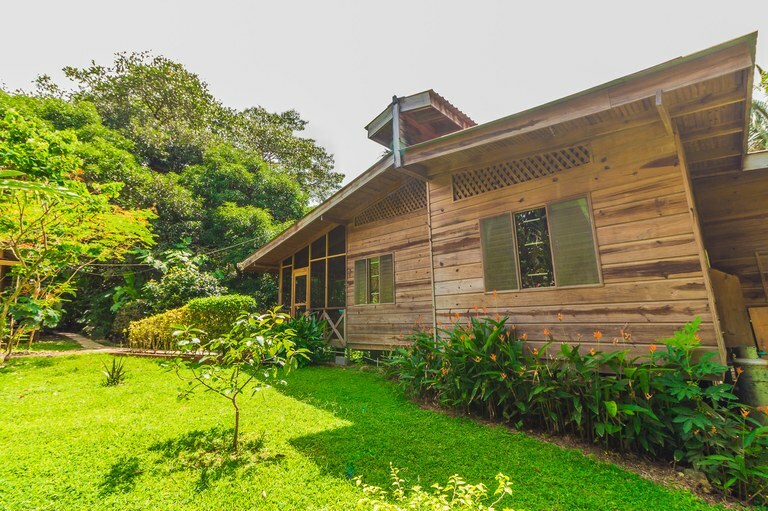 The large covered yoga pavilion sits on the edge of the river, where you can also enjoy a refreshing swim in your own swimming hole in the Rio Balso. 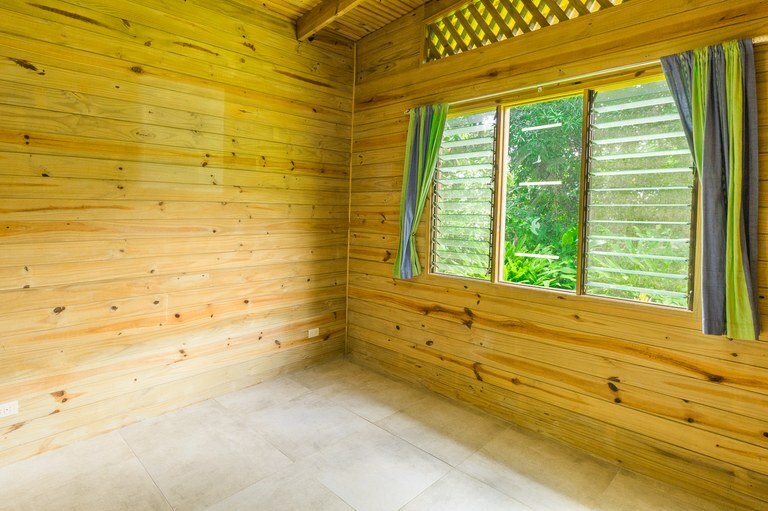 There is a separate house on the property that is the perfect home for you or your manager. 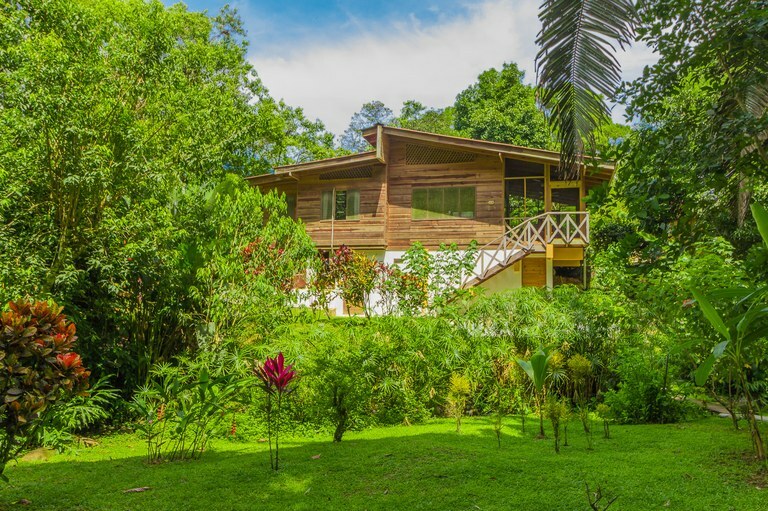 The house sits on a hill and offers privacy while giving you the opportunity to keep an eye on the property, and its location on the hillside gives it stunning garden and jungle views out the huge windows and elevated deck. 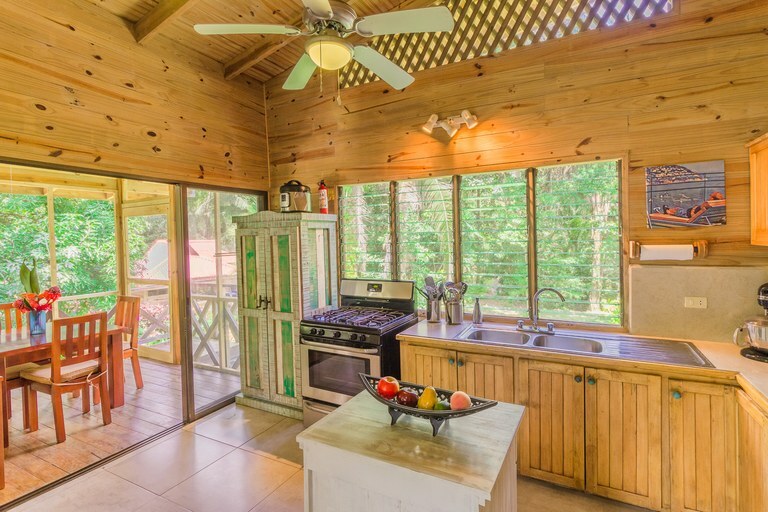 The two-bedroom, one-bathroom house is 1,000 square feet and includes a lovely, large kitchen and a comfortable living area, plus a screened-in patio and dining area with amazing views. 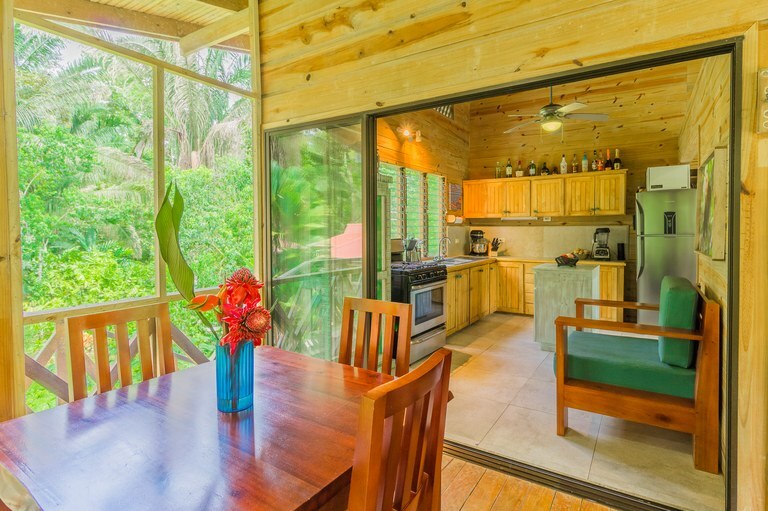 A large sliding glass door opens wide between the indoor and patio spaces, giving you true indoor-outdoor living! 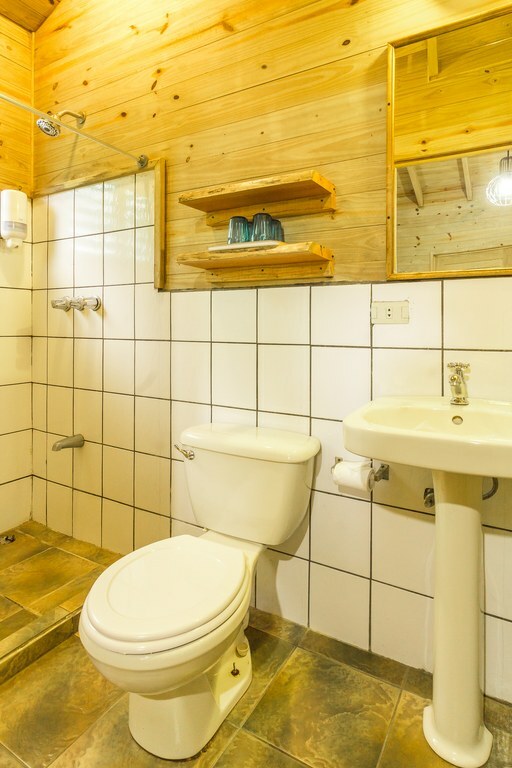 On the lower level of the house, there is a laundry room (one of two on the property) with an unfinished 400-square-foot workshop, great for projects or a studio! 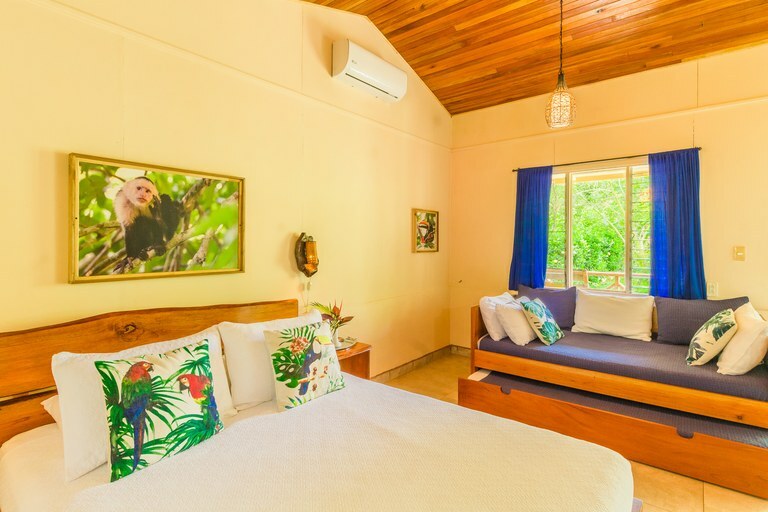 The property is easy to find and access for guests, mostly on easy paved roads just a few minutes' drive away from the main highway, but it feels like you are worlds away from it all in your own private jungle oasis. 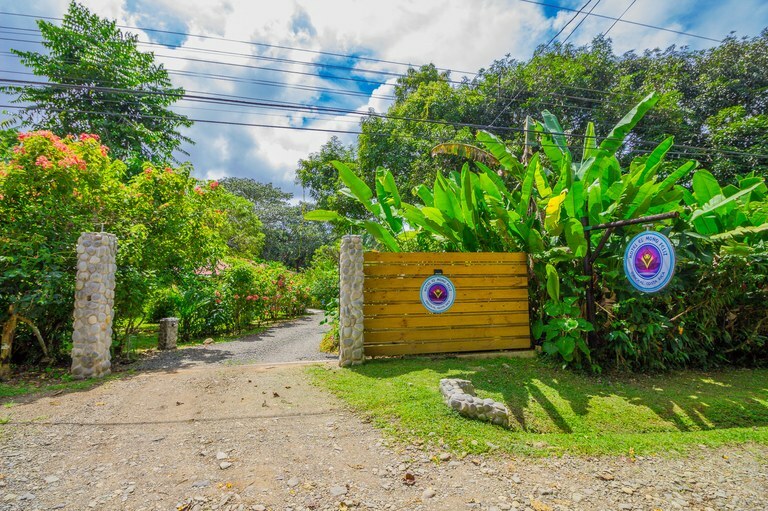 The entrance features a beautiful new gate (though you’ll probably never want to close it!) 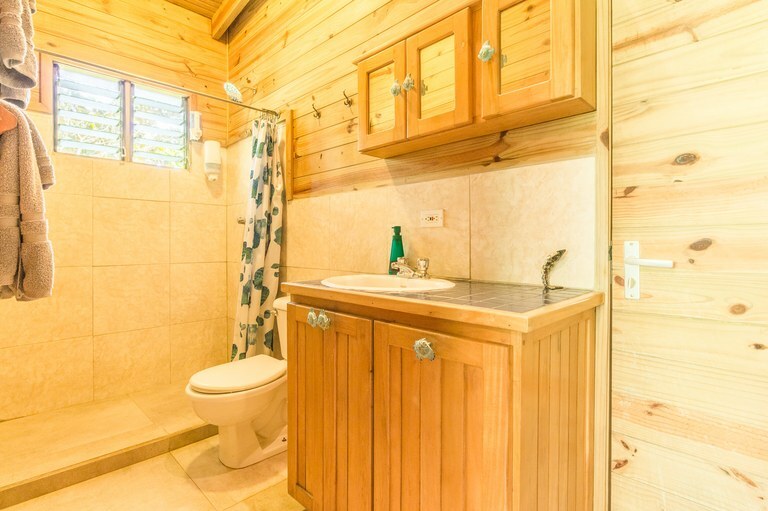 and includes ample guest parking and a beautiful newly completed driveway. 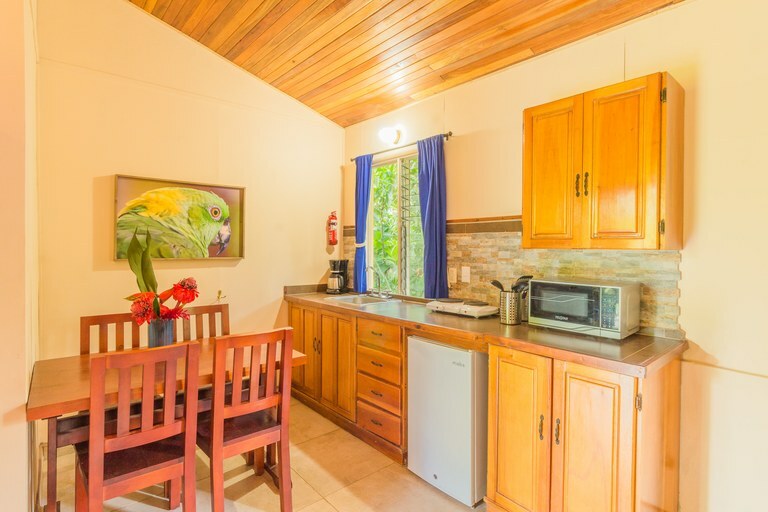 There is excellent Internet service with Wi-Fi throughout the property. 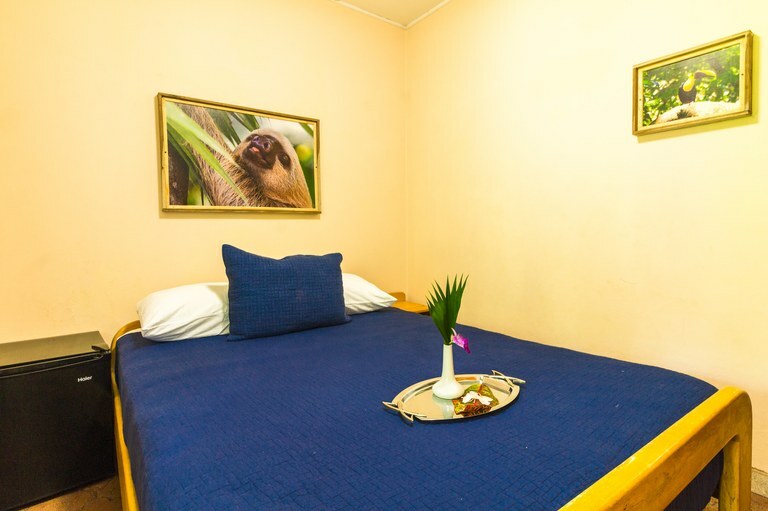 The convenient location is close to restaurants and several grocery stores. 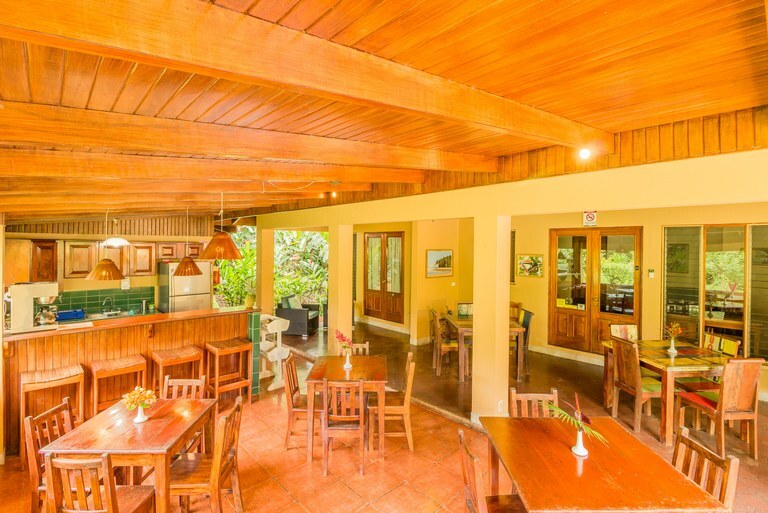 As a treat, indulge in a fresh croissant from one of two authentic French bakeries here in Ojochal! 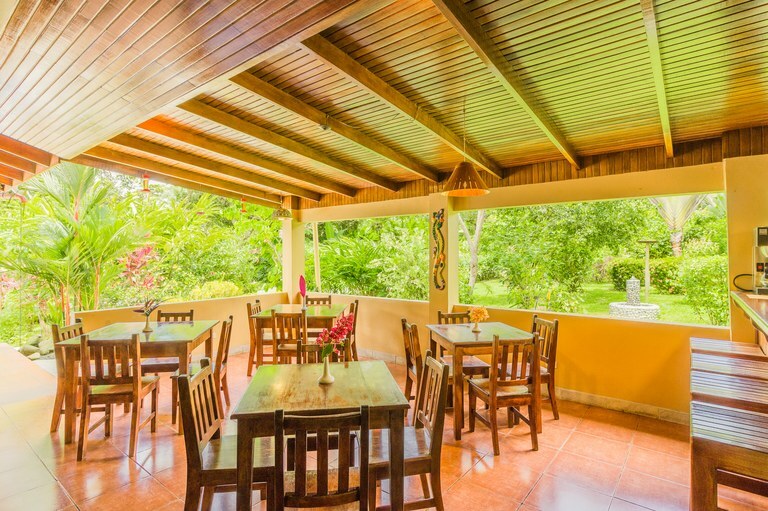 And - enjoy the many exceptional restaurants in Ojochal, known as the "culinary capital of Costa Rica," and even take in some live music any night of the week! 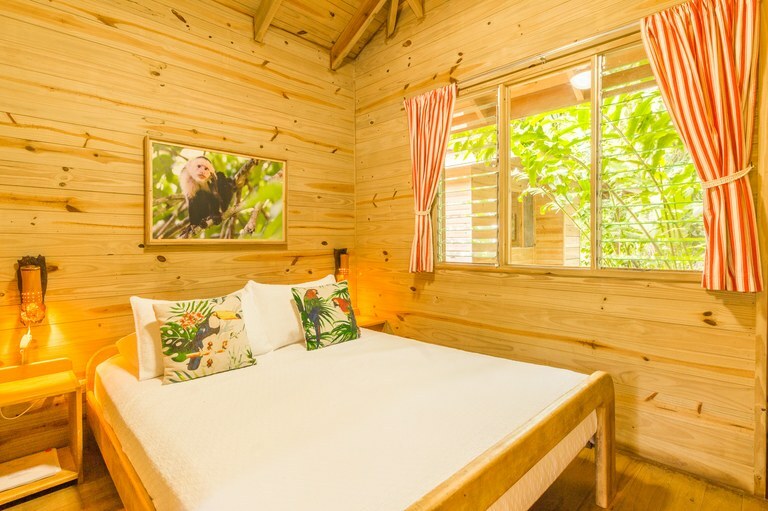 And of course, guests will be delighted at all of the nature and wildlife that greet them at every turn here in Costa Rica! 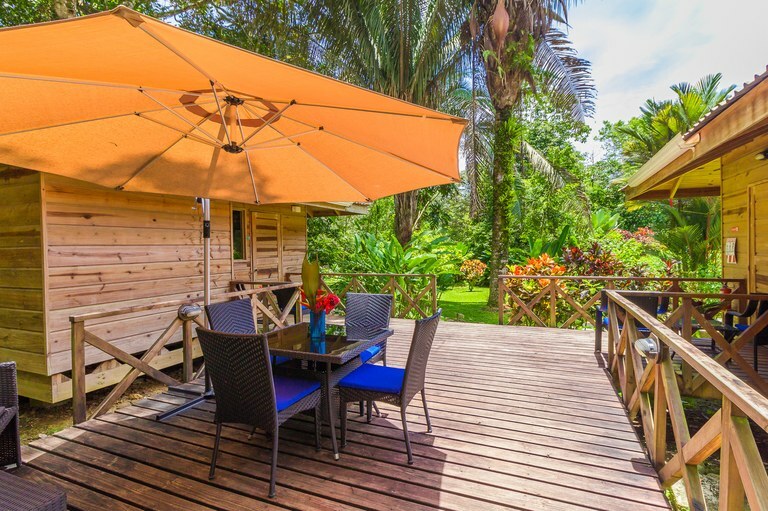 Toucans, orioles, dacnis, euphonia, hawks, hummingbirds and so many more birds can be seen on the property just about every day – in fact, the owners have documented over 135 different species of birds seen here. 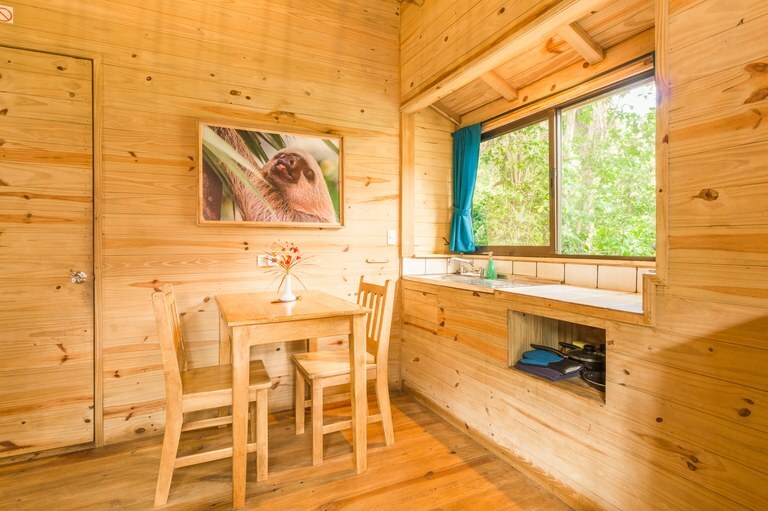 And, you can see iguanas, Jesus Christ Lizards (they walk on water), squirrels, turtles and more - even the occasional anteater and monkey. 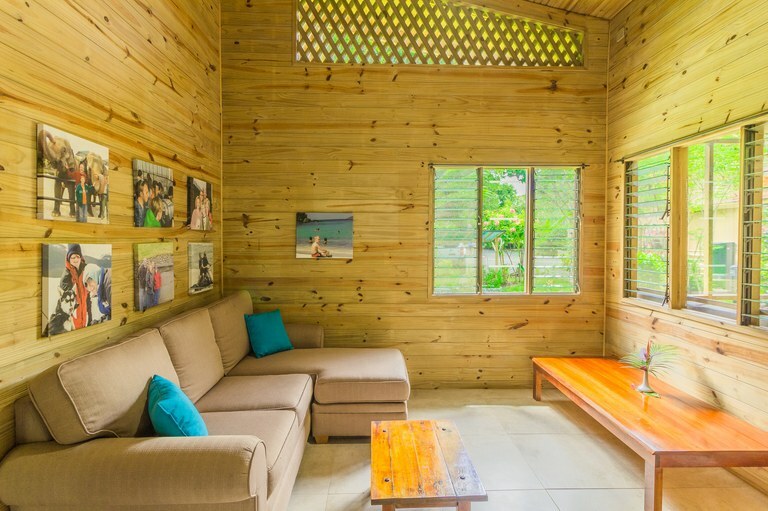 The nearby Playa Tortuga is a famous turtle nesting beach, and guests can watch baby turtles being released into the ocean by the local turtle reserve! 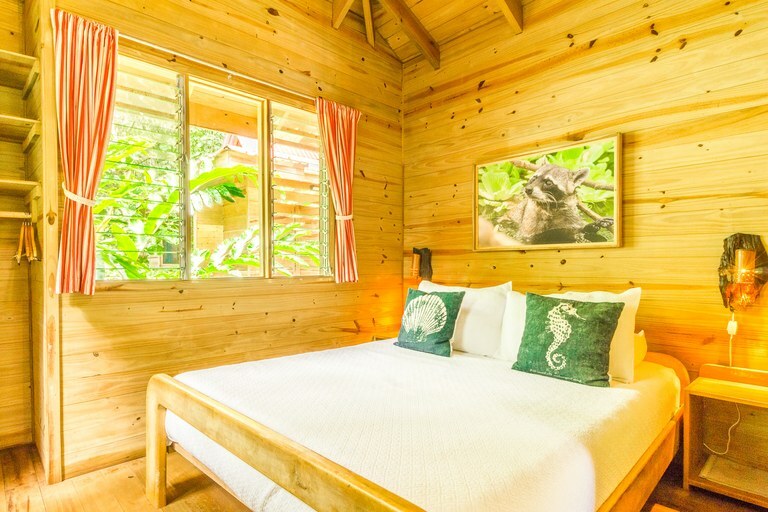 Just 15 minutes north is the renowned Whale's Tail formation that is part of the Marino Ballena National Park, where humpback whales come every year to give birth and raise their calves in the warm Pacific waters. 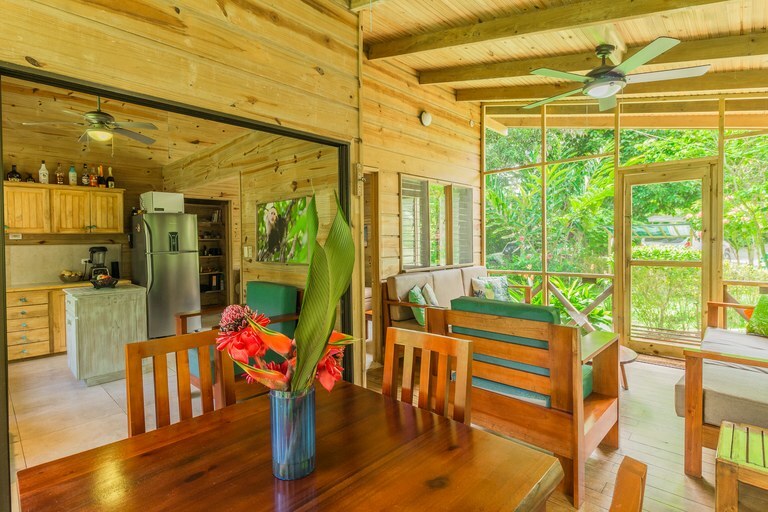 Guests can enjoy whale-watching tours nine months out of the year, go snorkeling or scuba diving at Caño Island, take a boat tour of the nearby mangroves, rappel down waterfalls, go horseback riding, speed through the jungle on one of the best zip lines in Costa Rica, go on an ATV jungle and beach tour, or take a day trip to nearby Corcovado National Park, which has been called the most biodiverse place on Earth by National Geographic! 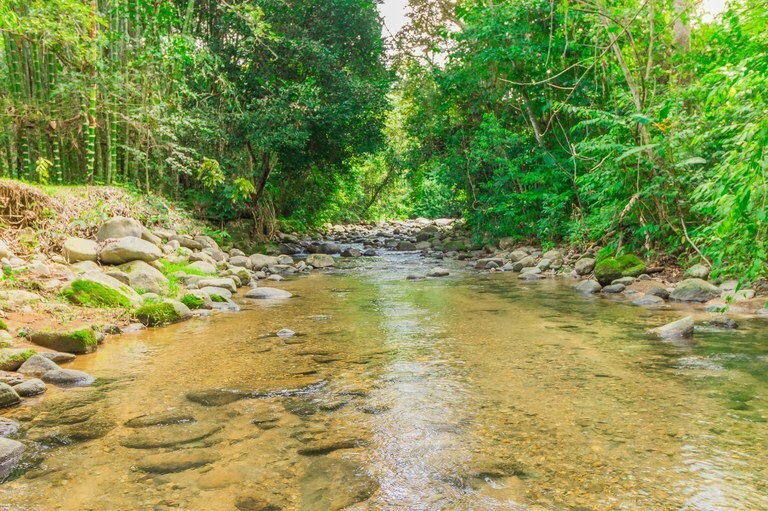 There is so much to do nearby! 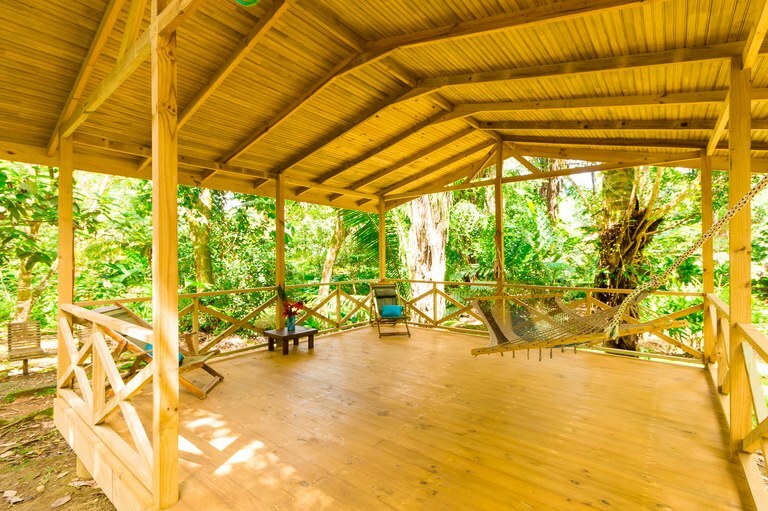 A true nature lover's paradise! 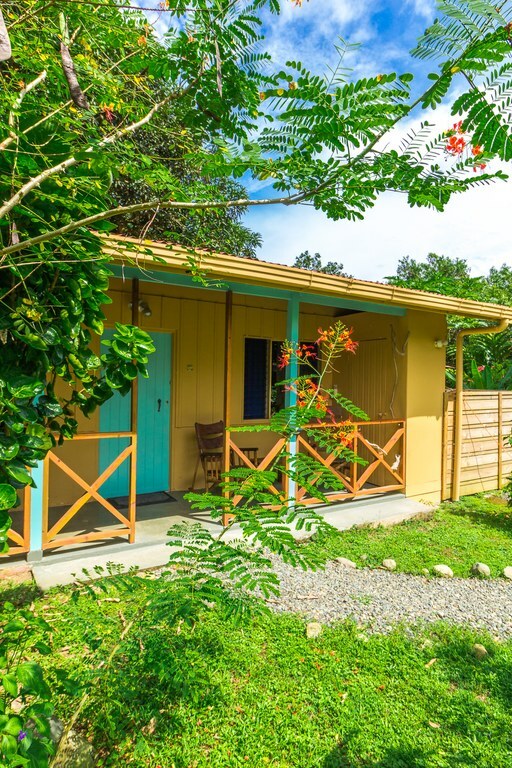 If you are looking for a true turn-key opportunity to live and work in the heart of paradise, this is it! 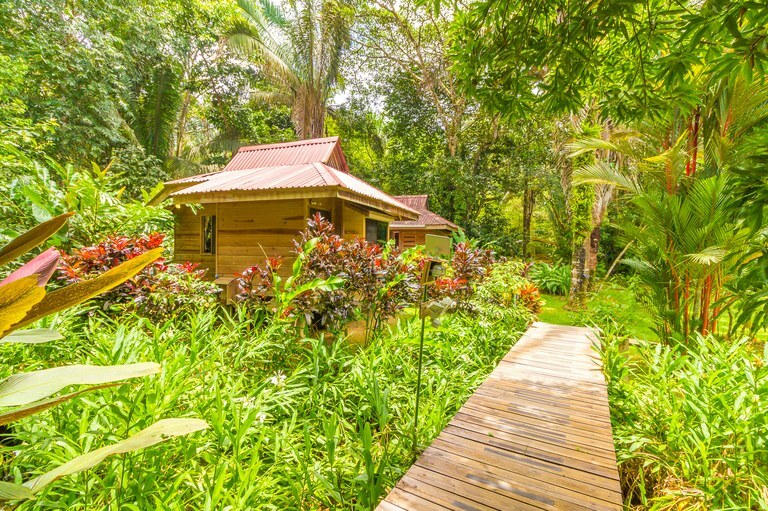 Contact us today, and start living your Costa Rica dream!